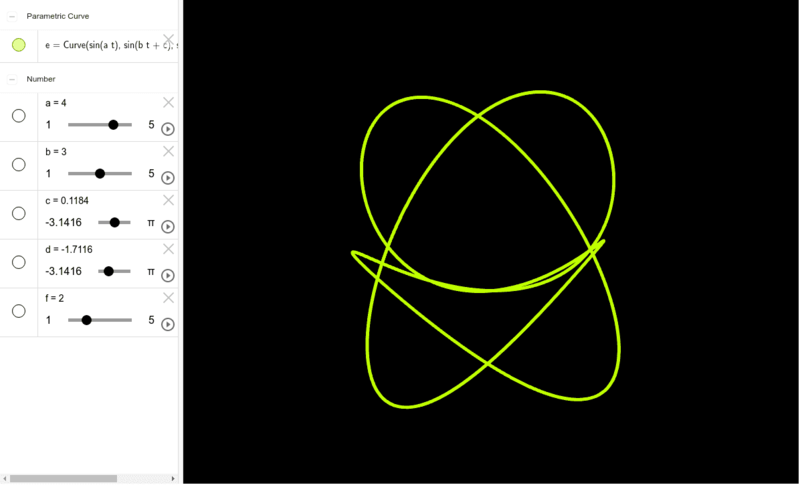 This is a first attempt at a 3D Lissajous. I don't yet see how to put the sliders on the plot itself, so I left the algebra view in. The sliders "a" "b" and "f" control the shapes, try various combinations. Click the "c" and/or "d" sliders to do continuous phase shifts that make the figures move. Click and drag on the plot area to change the 3D orientation, this changes the shapes also. The reset at top right takes it back to the initial state.